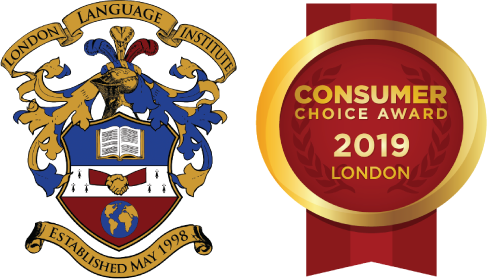 The TESOL Diploma Program offered through London Language Institute is an ESL teacher training course with 150 hours of online instruction and a 30-hour supervised practicum. The ACE TESOL Diploma provides a comprehensive look at the theory of language teaching as well as advanced teaching skills. Topics are divided into three broad categories: learning, teaching and language. Each of the 100 modules in the ACE TESOL Diploma course are comprised of Lecture Notes and a Task Journal. Students submit Task Journals to their instructor on an ongoing basis for feedback and assessment. Students are also assessed on an Observation Report and three Term Exams. The ACE TESOL Diploma can be completed in an as little as 3 months, or up to 12 months. Three 3-month sessions are offered each year – September 15 to December 15, January 15 to April 15, and May 15 to August 15. Participants can complete all three terms in one 3 month session, or spread the terms over two or three sessions. Once registered, participants will be provided access to the term one materials, and once complete will have the option of completing the next term in the same session, or waiting until the next session to continue. Practicums are conducted in real adult English language classes. The 30-hour practicum is divided into 20 hours of classroom observation and 10 hours of practice teaching. For the 10 hours of practice teaching, students are assigned to a mentor teacher. Completion of an undergraduate degree from a university and program that are administered and delivered in English. The total cost of the ACE TESOL Diploma program is $2500 ($700 per term plus $400 practicum fee), plus a $150 administration fee payable upon registration. The administration fee will be waived for past graduates of the TESOL Certificate Program at London Language Institute. Once registered, LLI will provide a list of potential practicum locations based on your geographical location, and assist you in confirming your placement. Note: You will be required to provide your official test results. The TESOL Diploma program is offered online, and can be completed in an as little as 3 months, or up to 12 months. Three 3-month sessions are offered each year - September 15 to December 15, January 15 to April 15, and May 15 to August 15. Participants can complete all three terms in one 3 month session, or spread the terms over two or three sessions. Once registered, participants will be provided access to the term one materials, and once complete will have the option of completing the next term in the same session, or waiting until the next session to continue.